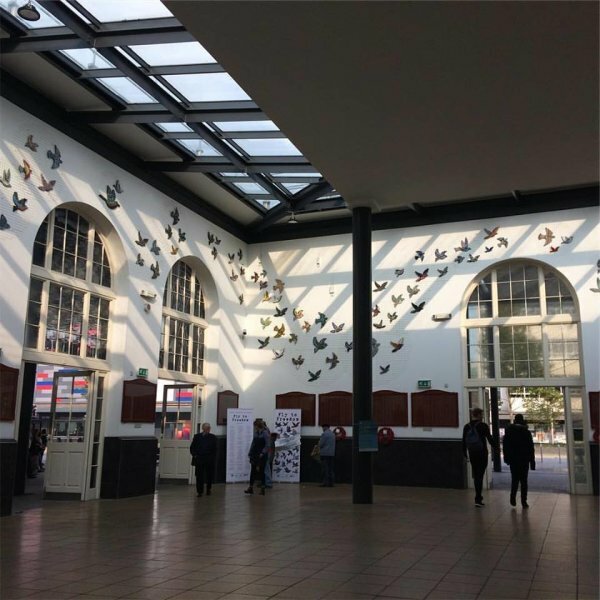 Spot my mosaic bird which which forms one of over 100 birds installed in Hull Paragon interchange (railway station), made by both professional mosaic artists and community groups across Hull. I ran two workshops with families of children at Wansbeck Primary School to create the birds. Funded by Hull City of Culture 2017 the birds will be on permanent display from September 2017 as part of the Freedom Season of events.